At this year&apos;s Hannover Messe, the Embedded Intelligence department presents ways in which automated condition monitoring, remote management, and predictive maintenance may be implemented at a construction site. 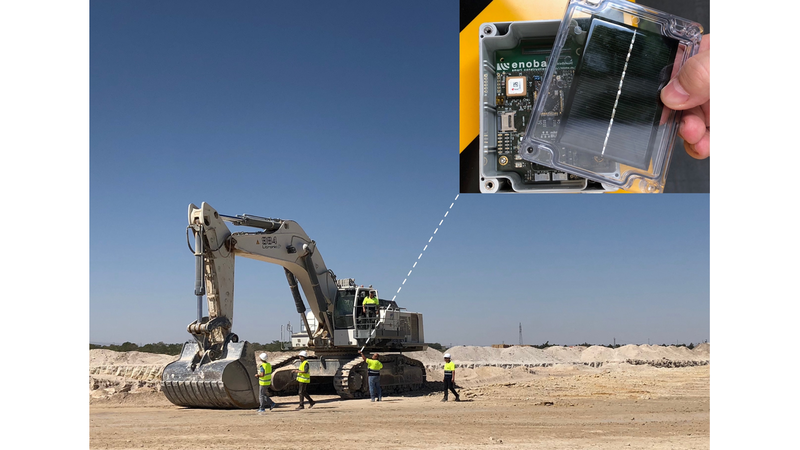 Intelligent networked sensors in construction materials, in the vicinity of the building site, or in the machines support the deployed AI systems. The ConWearDi project develops innovative, technology-based services driven by digital construction processes and connects different value chains in the context of the construction industry. We have a lot of catching up to do in the construction and energy sectors in terms of digitalization. While BIM systems (Building Information Modeling) and modeling or simulation tools are used in building planning, the construction work, that is, the value-creating work performed at the construction site with its various trades, is still dominated by analog media and processes. Using Industrie 4.0 technology, the project will develop a web-based platform that enables a digital information exchange between all involved in the construction process as well as intelligent planning and control services in addition to continuous quality assurance and documentation processes. If the implementation is successful, it will be possible in the future, to use real-time construction data for intelligent, on-site monitoring and control of the process flow.